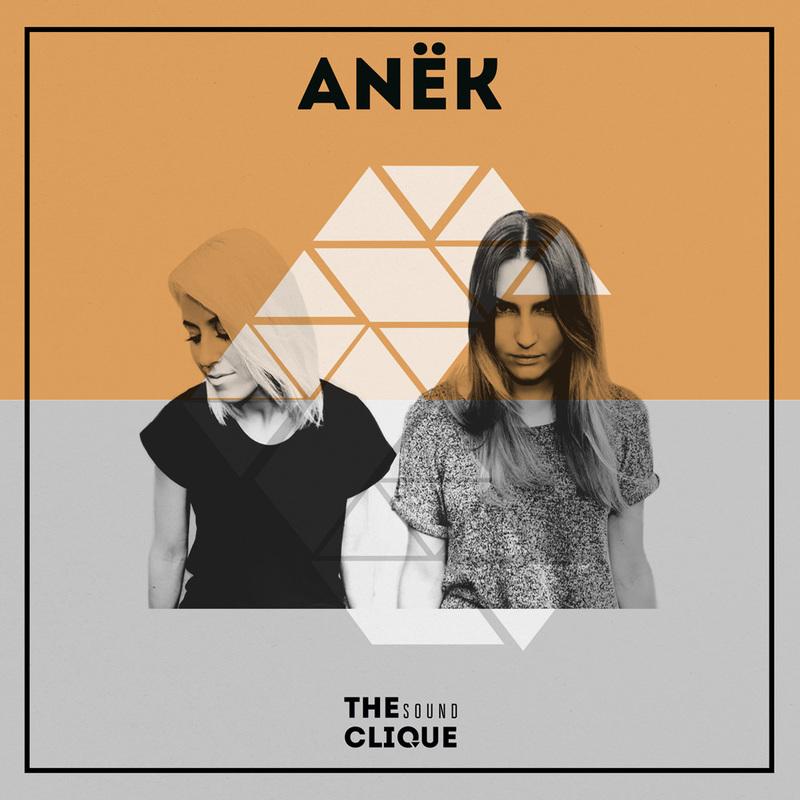 The female house music duo, hailing from Copenhagen, Denmark, Anëk are one of the most in demand female DJs right now. The childhood friends have been djing and producing for over 15 years now, with the last few years their productions getting support from some of the most influential DJs such as Marco Carola, Hot Since 82, Pan-Pot, Davide Squillace, and Matthias Tanzmann to name a few. Moreover, they are the first female duo welcomed to Steve Lawler’s VIVa MUSIC roster, and have been resident DJs for the infamous VIVa Warriors weekly parties at Sankeys Ibiza for 4 years now. We couldn’t miss the chance of having them in our Behind The Decks interview series! So we caught up with Anëk djs and What Happens label owner, Tim Andresen before their party in Culture Box this Saturday. Hello girls, and thank you for accepting our invite for this interview! First things first…How does it feel to be back home in Copenhagen, Denmark? Moreover, are you both excited to be back at Copenhagen’s electronic music trademark – Culture Box? How did the booking for the “What Happens” party come along? Tim, what made you decide to book Anëk for this month’s What Happens label night at Culture Box? I have known Denise and Karina since 2001 where they played before me at a club called Level CPH here in Copenhagen. It was very early on in their career. Since then we’ve done the award nominated Get Down parties together before they decided to leave the country. We have been in touch regularly and played together numerous times over the years and it’s always great fun and amazing nights. Back to Anëk, you are probably aware that the Danish government has decided to stop the cultural support funding for Culture Box as of 2017. What is your opinion on that, and do you think the electronic music scene in Denmark needs more support from the government and the natives? Yes, that’s sad news and must be very difficult for the club, but we are sure they will overcome. Maybe this is the time for locals to get out of their “hyggelige” apartments and support the fun nightlife 😉 Hey, we know it’s cosy, but there is nothing better than a good party, haha. How are you after an amazing 4th season as resident DJs for Viva Warriors at Sankeys Ibiza? Which are your best memories from this summer on the White Isle? We can’t believe where time has gone. There are so many amazing memories from this summer. Each party has been incredible, but one night that sticks out was probably when we were closing The Lab after Mathew Johnson. We ended up playing to almost 7 in the morning, the room was still so packed that we could have continued many hours more. The atmosphere was just electric. Outside Warriors we have spent a lot of time enjoying the island with friends, going out for amazing dinners and to all the nice beaches. We already miss it. Being at Space closing was quite special, it was such a fun night but also very emotional. Kind of end of an era. How was your experience being part of the Sankeys closing party (where in fact in the other room one of our team members played for the High Tide closing party)? It has been an amazing season for Warriors, probably the best one yet, but we say that every year. The Sankeys closing party was really cool, we played in The Lab with Sante and Sidney Charles. We love playing in the Lab, the sound in there is absolutely amazing. We ended up having fun and partied in the Capadi Rebels Cave, which is the smaller room Spektrum at Sankeys. These guys have decorated the room amazingly, and we all ended up with fancy costumes. VIVa event manager had some kind of Alien hat on in the end and Steve Lawler in a poncho , it was a lot of fun and a great way to finish an amazing season. What happens right after the upcoming weekend ends? Any new arrangements worth mentioning between now and the near future? Next weekend we are back in London where we play regularly and also one of our favourite places to play. This time its in a warehouse in east London for Solid Grooves, whom we have played for before, recently at one of their parties at Privilege in Ibiza. After that, we are off to Manchester for a big Halloween party at Sankeys in Manchester. We start off November by playing in Beirut, which is an amazing and super interesting place we have played before. The weekend after we will play with Matthias Tanzmann at his Moon Harbour Showcase at Watergate in Berlin, and then to Paris at La Machine du Moulin Rouge. And finally, would you like to say something to your danish fans before your gig this Saturday? Tim, what do you like about them and Anëk’s style/djing? They are good friends and someone I always like to hang out with. They have a great taste in music and compared to me they have a pretty similar mind in terms of style and flow of the night. I always see smiles and they are full of energy and love what they do. They are dedicated to DJing and follow their heart. I love that. Could we expect anything more from you and Anëk in the future? We have been talking about doing something on my What Happens label so let’s see what happens in 2017. Would be great to get them onboard. Connect with Anëk on Facebook, SoundCloud and Instagram. I was there that evening. it was very very good. I had a wonderful night together with Anëk. greetings from Frederik of Belgium. I’m looking forward for another set of Anëk. they are just amazing. It was the 3rd time that I saw them. can’t just get enough of it.